Our schedule may change between now and the convention, but we'll make sure to keep the online and mobile versions updated, even throughout the con. At the convention the Clear Ether newsletter will also list schedule changes and updates. Our Registration team spent a lot of time this year working to make sure everyone has a quick and pleasant registration experience at Arisia 2017. To read more about the improvements, head on over to the Arisia blog! Parents of Turtle Track or Fast Track members, you can fill out the appropriate Check-In form ahead of time by following the links below. We’ll have them ready for you to sign and be on your way to that awesome panel even faster! We will also have blank forms available at each location. The Teen Unconference will be returning to Arisia this year. This is where teens can propose their own topics and hold their own discussions about those topics. Stop by the ideas board located on the Harbor Level, by the Video Game room in Carlton, anytime on Friday evening to propose your ideas and see when things will be happening. Then check the updated online/mobile schedules or come by the board again starting Saturday afternoon to see the schedule and decide which events you want to attend. You can also keep your eye on the #arisiateens hashtag for updates. Come join your fellow teens to talk about whatever you want! This year, the Arisia Bake Sale will be on Saturday from 9:30 a.m. to 12:30 p.m. (or until we sell all the food). It will be located in the Authors and Artist Alley. The Arisia Bake Sale benefits the James Tiptree Jr. Award, an annual literary prize for science fiction or fantasy that expands or explores our understanding of gender, and Con or Bust, which helps fans of color/non-white fans attend SFF cons. Please consider bringing something to be sold: all non-refrigerated foods are welcome (particularly those that also suit dietary restrictions). If you are thinking of bringing something, we'd appreciate it if you'd let us know in advance let us know at bakesale@arisia.org. Food can be dropped off during the sale itself or at the Arisia Team HQ (Quincy) ahead of time. Even if you are not a baker, please mark your calendars and spread the word! We want you to join Team Arisia. Just fill out our Volunteer Form so that we can count you in. Team Arisia Headquarters will be located in the Quincy room on the lobby level, near Starbucks. This is where you volunteers get your staff ribbons, timesheet, T-shirt, and nifty swag. Volunteers are welcome to hang out, relax, and enjoy some snacks. Eight hours of volunteering earns you a free staff T-shirt at the convention (only available to volunteers). Twelve or more hours earns you a free membership to next year's convention. Volunteers who help for at least 6 hours on Wednesday (truck loading), Thursday (load-in and set-up), and/or Friday (load-in and set-up ONLY, generally until 3 PM), are eligible to earn an Arisia 2017 membership. Make sure you get your timesheet signed! 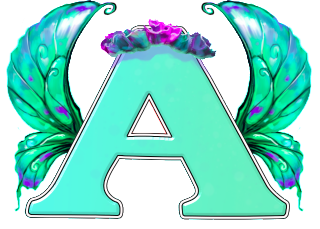 You could earn all your hours for a free membership for Arisia 2018 and never miss a minute of Arisia 2017!! Just help out Monday (tear-down and load-out ONLY, generally after 3 PM) or Tuesday (load-out and truck unloading) for at least 6 hours to earn next year's membership! Without volunteers, we wouldn't have the convention that is Arisia. Everyone, from our Corporate President, to our Convention Chair, to the person who has just an hour at the convention to give, is an unpaid volunteer giving their time to help make the our convention a success. If you'd like specific ideas about where to volunteer, take a look at our Help Wanted page or just shoot us an email at volunteers@arisia.org to let us know you're interested. Got to con and haven't signed up to volunteer yet? Not a problem. Drop by the Team Arisia HQ in Quincy starting Thursday afternoon. Stephanie Law's work is an exploration of mythology mixed with her personal symbolism. Mythological archetypes, as well as the intricate movements of dance, are some of the defining inspirations for her imagery. Stephanie has been a dancer for almost two decades. She began her illustration career working with many fantasy gaming properties, including Magic: the Gathering, Forgotten Realms, and Changeling: The Dreaming. In 2009 Stephanie released The Shadowscapes Tarot with Llewllyn Publishing. She currently has a new deck in the works, called the Dreamdance Oracle. She is also known for her series of watercolor technique books, "Dreamscapes". At Arisia, you will find Stephanie discussing her work on the Tarot, demonstrating her favorite watercolor techniques, and revealing her tips for balancing the professional and personal in her long art career. And don't forget to check out her pieces in the Art Show! Copyright © 2017 Arisia Inc, All rights reserved.